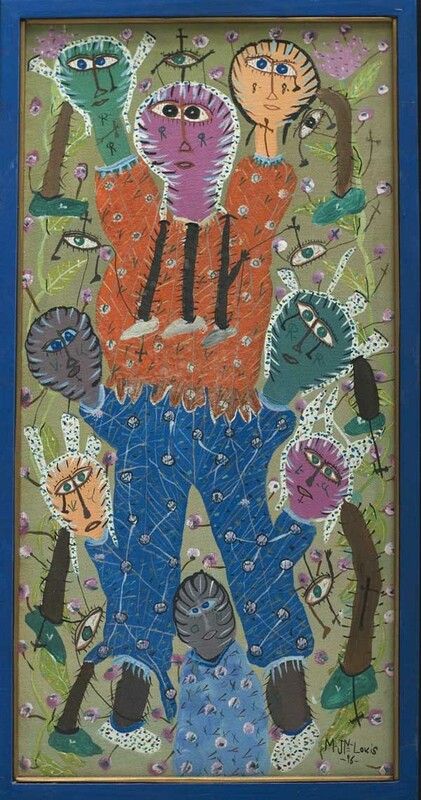 Maxan was born in 1966 in Jeremie, Haiti. At some point he moved to Port-au-Prince, as had his older cousins Henri Jean-Louis and Eric Jean-Louis. First he did a stint as an apprentice bricklayer and then began painting. 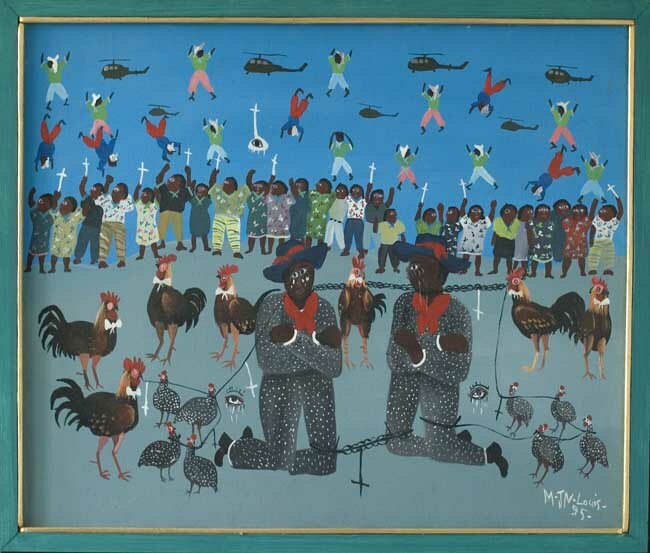 According to the informative book, "Artistes Haitian" published by APAM, He originally, studying with Henri, painted "the pretty images of beloved Haiti." 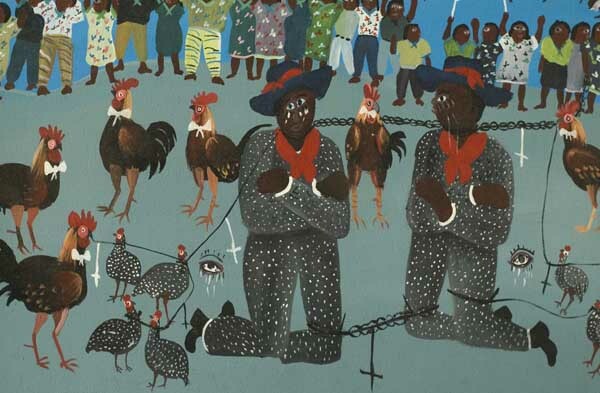 After the coup of 1991, which ousted Aristide, his work turned surreal and he began to chronicle events that were happening in Haiti, from Karnaval to cermonies, rapes, assassinations and political situations. 1996. $720 framed in painted wood.